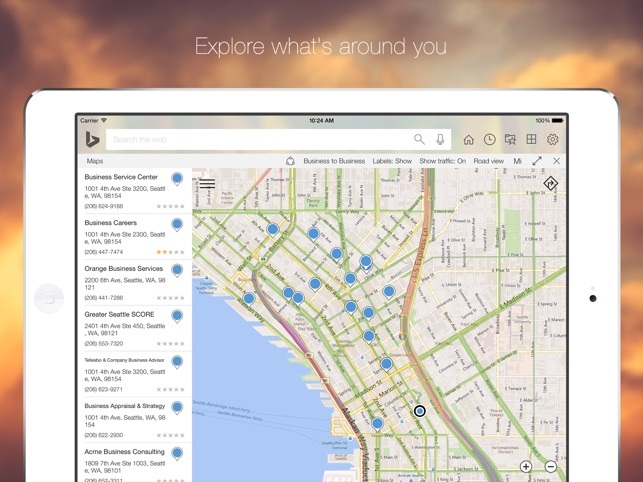 Summary : Don’t just search it… Bing it! 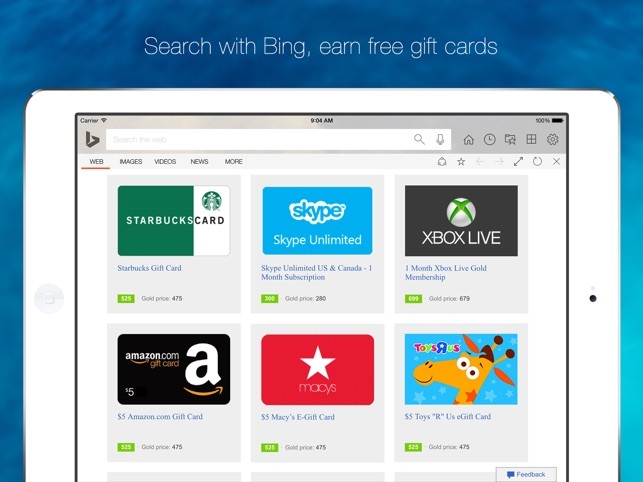 Bing is an app that allows users to search the Internet. 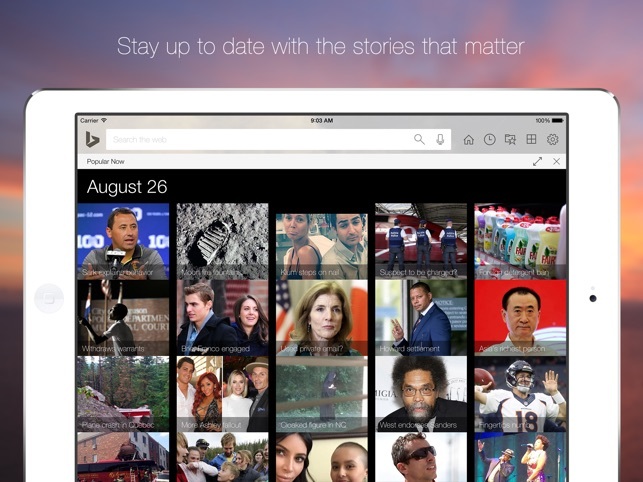 When Bing is launched, a menu is presented to users that includes the local weather report, current news articles, images, movie trailers, trends, maps, and finance. 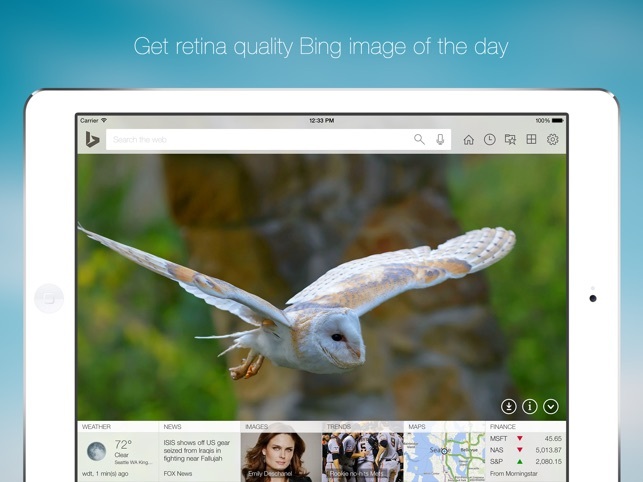 When users enter search terms into the app, Bing searches the Internet to find images, new articles, and websites related to the search terms. Plus, if users create a profile and login, they are able to “star” their favorite searches and findings, allowing the information to be saved to Bing for users to access at a later date. Teachers can instruct students to research specific topics, and students can use Bing to conduct that research. To support students in researching specific topics, the teacher can demonstrate how search results can be affected by using “and” in place of “or” in search terms, and how using quotation marks with specific terms can help students locate more relevant matches. As a class, teachers and students can use Bing to search for a specific topic related to an area of study and compare the results. For example, if students are studying the Titanic, teachers can use the search term “The Titanic” in Bing and browse through the websites, articles, videos, and images returned. Next, teachers and students can compare and contrast the information of, for example, a video against a news article. This activity can be done so students understand that different types of documents provide different types of information. What would you like to see when your name is searched? What do you think you would find if you did this search again in 5 years? How do your goals relate to what you see here?